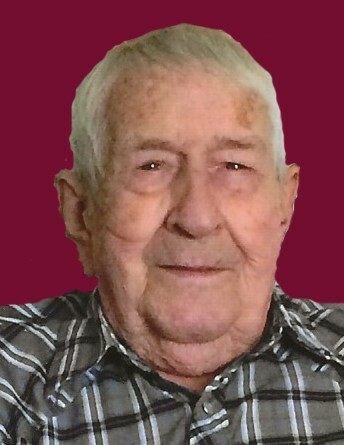 Bill E. Leyda, 88, of Mt. Pleasant, IA, went to be with his wife, Wanda “June” Leyda on Friday, January 18, 2019, at Parkview Manor in Wellman, IA. According to his wishes, Mr. Leyda has been cremated. The family will host a memorial gathering, on Thursday, January 24, 2019, from 11:00 a.m. until 1:00 p.m. at the Moulton Crossline Community Center in Moulton, IA. Military rites, by the Moulton American Legion Post #280, will be accorded at 1:00 p.m., at the Center. Inurnment will follow in Sunset Cemetery of Moulton. Gifts of love and friendship may be given to Michael Leyda, to be used for veteran’s assistance at the VA Hospital in Iowa City. Donations may be dropped off at Olson~Powell Memorial Chapel during normal business hours or mailed to the Memorial Chapel, P.O. Box 656, Mt. Pleasant, IA, 52641. On-line condolences may be directed to www.olsonpowell.com. Olson~Powell Memorial Chapel of Mt. Pleasant has assisted the family with arrangements. Born January 17, 1931, in Bloomfield, IA, Bill Edwin was the son of Neil Frederic and Freda Opal (Bannister) Leyda. He was a 1949 graduate of Bloomfield, IA. Bill married Wanda “June” Daniels in Bloomfield, IA, on March 17, 1951. She preceded him in death on September 1, 2016. Following high school, Bill enlisted in the United States Army and served during the Korean Conflict guarding the Panama Canal. Upon his discharge, he worked in Bloomfield for Michael’s John Deere Oldsmobile Dealership in the parts department. In 1972 he moved to Ottumwa and became the parts manager of Glover Ford Dealership. Bill then worked in the parts department of the International Dealership in Ottumwa. He finished his career working for Sieg Auto Parts in Mt. Pleasant, prior to retiring at the age of 62. Following his retirement, Bill began a second career, in his home, repairing string instruments for friends and string students in the area. Bill’s family was his highest priority, and he especially loved outings with his wife. He sang with several bluegrass bands in the area, including The Hymes Family, while playing a variety of instruments. Bill is survived by a son, Michael (Tina Sammons) Leyda of Mt. Pleasant, IA; a grandson, Roscoe Leyda of Mt. Pleasant, IA; three granddaughters, Ginny Leyda of Covington, VA, Kimberly Roye of Freeport, FL, and Samantha Sammons of Burlington, IA; seven great-grandchildren; along with nieces and nephews. Along with his loving wife, June, Bill was preceded in death by his parents, and two brothers, Ben Leyda and Bob Leyda.